We provide a specialist TV insurance product with value and cover in mind. We cover all televisions large and small and we are one of the most competitively priced providers in the UK. We value our customers and as such provide the best experience we could possibly do from initial sign up to claims. We use local engineers to you so that we can get to you as quickly as possible. People are moving to protect their products with us more than ever. Limiting any chance of costly bills if a TV breaks. With our great packages, comprehensive cover and brilliant customer support there's every reason to take out a policy with us. We provide a swift and very reliable service that can get you television sorted quickly with a local engineer that’s fully insured so you can relax. Our processes are built with you in mind so you can rely on us to make sure you get the most from your insurance. TV Protect was built to serve a growing demand for reliable insurance to cover the ever increasing complexity of modern televisions. We are an established firm that has provided insurance to over 50,000 customers. Why not get a quote here to see how much you can save! TV Protect is a trading name of BIG Warranties Ltd (Company No. 07002567) is authorised and regulated by the Financial Conduct Authority under FRN No.798998. If you wish to contact us regarding anything please visit our contact page here. ©2019 TV Protect is a trading name of BIG Warranties Ltd (Company No. 07002567) is authorised and regulated by the Financial Conduct Authority under FRN No.798998. 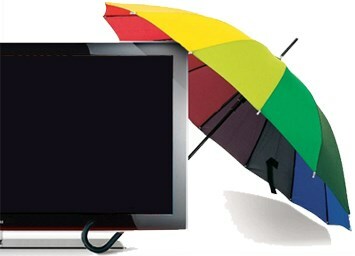 TV Protect Trading address: Richmond House, Richmond Hill, Bournemouth, BH2 6EZ.